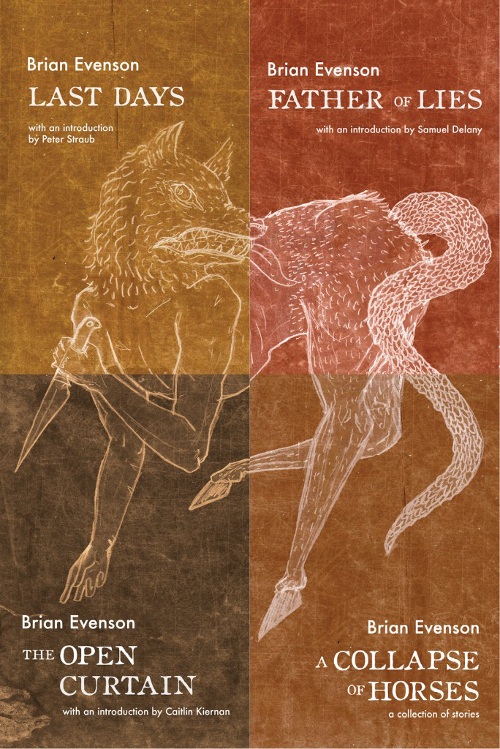 I had a hard time keeping my cool when The Los Angeles Review of Books asked me to review Brian Evenson’s brilliant new collection, A Collapse of Horses. I’ve suffered a few side effects, though. Every night at 3:00 am a creature now appears beside my bed. It might be a robot. It might be an armored subhuman (or even a catfish in a tin suit). In a gurgly voice, this “furnisher” attempts to sell me jerky, flashing bits of twisted meat before my groggy eyes. It won’t go away until I buy a piece. I always put the smoked flesh on my night stand, and in the morning I find nothing but a greasy stain.